Rockler Woodworking and Hardware has just introduced the Mini Silicone Glue Brush, a re-usable glue brush made for small projects and detail work. The brush is a smaller version of the previously introduced, multiple award-winning Silicone Glue Brush and is made of the same silicone material, which boasts easy cleaning and indefinite re-use. The Mini Silicone Glue Brush is designed for detail work and small projects including crafts, doweling, a variety of small joinery, and work with narrow stock. 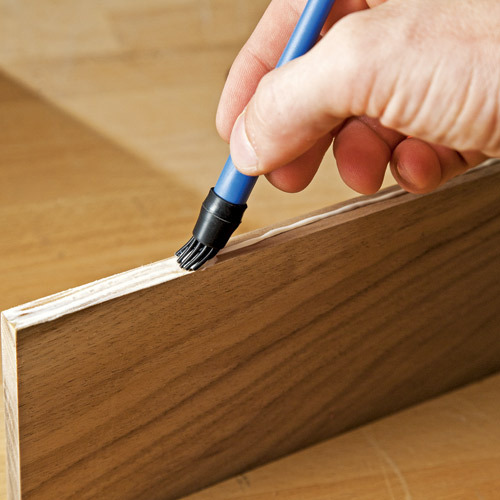 The Mini Silicone Glue Brush is perfect for box joints, dovetails, grooves, dowels and other hard-to-access spaces. 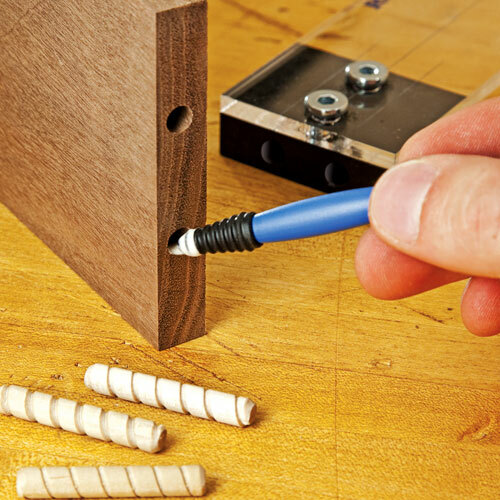 "The Mini Silicone Glue Brush is useful for many different gluing applications," said Steve Krohmer, Rockler's Vice President of Product Development. "It reaches the small spaces that larger brushes can't, and the tapered dropper tip opposite the brush is wonderful for doweling and other tasks which require glue in a narrow void. And of course, it is easy to clean and re-use just like the larger Silicone Glue Brush, so folks no longer need to buy, use, and throw away piles of acid brushes." 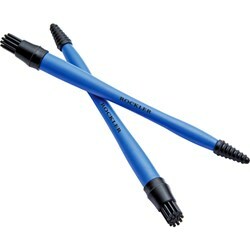 The Mini Silicone Glue Brush features a head that is 3/8" wide with bristles arranged in a circular shape. The narrow brush is ideal for small applications such as work with thin stock and small dovetail, tongue and groove, and box joints. The opposite end is a tapered dropper tip with grooves to hold glue and apply it in narrow and hard-to-reach areas such as dowel holes and small grooves. Cleanup is easy – wet glue can be rinsed off with warm water, and most cured woodworking glues simply peel and flake right off the Mini Silicone Glue Brush bristles, allowing the brush to be used over and over again. The Mini Silicone Glue Brush (45495) is sold in packs of two and retails for $7.99 per pack. They can be purchased at Rockler Woodworking and Hardware stores nationwide, Rockler independent resellers, Rockler.com, or from the Rockler catalog. For store locations or a free catalog, please visit http://www.rockler.com or call 1-877-ROCKLER. Celebrating its 58th year as a family-run business, Rockler Woodworking and Hardware is the nation’s premier supplier of specialty hardware, tools, lumber and other high quality woodworking products. Rockler has 29 retail locations in AZ, CA, CO, GA, IL, IN, MA, ME, MI, MN, MO, NH, NY, OH, OR, PA, TX, WA, and WI – plus 60 independent reseller locations nationwide, as well as extensive catalog and internet operations. Note: Hi-resolution images and text to go along with this news release are available for download at http://www.rockler.com/news.